Next fall Wake County will open up their newest high school. Currently Apex High School is living in the halls of Green Level as their school gets rebuilt. The potential for Green Level's track and cross country program to be great is tremendous. It'll pull from schools like Green Hope, Panther Creek and Apex who have always been great on the track and in cross country. Today, they announced their first ever head coach. 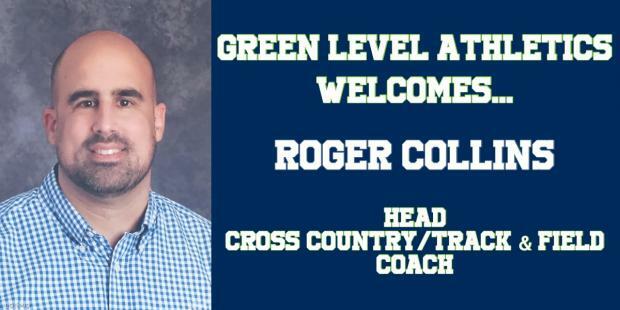 Roger Collins coached at Green Hope high school from 2006-2017 where he lead the Green Hope women's cross country teams to six straight NCHSAA 4A State Championships from 2009-2014 as well as a boys team title in 2010. Collins also coach the Green Hope women to Nike Cross Nationals in 2010 and 2014. In 2017 Collins stepped down from coaching at Green Hope in order to spend more time with his wife and kids and take a brief break from coaching. Green Level will start off like Apex Friendship and South Garner have. They'll have freshman and sophomores mainly enrolled in the fall. So in 2021 they'l have their first graduating class.